I hold The Incredibles to be one of Pixar's best movies. I don't think it's their number one best. I'd have to give that title to either Finding Nemo or Monsters, Inc. But it is a fantastic movie, and one that was kind of ahead of its time. It came out 2004, before the whole comic book movie craze hit. It was commenting on a genre that hadn't even really been created yet, similarly to 2000's Unbreakable. But The Incredibles is basically Fantastic Four meets Watchmen, when you really think about it. It looks at a world where superheroes are illegal, and how a family of former superheroes have to reform themselves. The sequel, coming out fourteen years after its predecessor, picks up right where the first film left off. Director Brad Bird has said that the sequel will not really comment on the current state of comic book movies, which I have always found to be a missed opportunity. I would much rather have this movie take place fourteen years after the events of the first film, so that we can explore a new era of these characters' lives. But, they're going in a different direction, one I'm still excited to see. 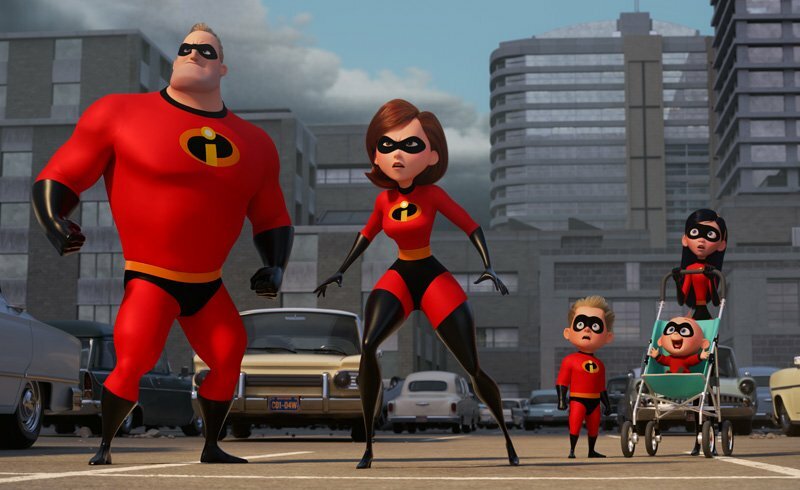 Incredibles 2 is one of my most anticipated movies of 2018, and now we finally have a trailer for the film, which opens in theaters on June 15th. I liked the trailer. I didn't think it was fantastic, but I thought it was decent for a first teaser trailer. It wasn't this completely satisfying return to a property after almost fifteen years, but that's really the job the movie is supposed to fulfill, not the trailer. This trailer gives us a brief glimpse of what the story will be about, surrounding the introduction of Bob Odenkirk's character, but we don't know the full extent of it. For a teaser trailer, that's perfectly acceptable. The trailer opens with the beginning battle with the Underminer (John Ratzenberger), which is exactly where the first film left off. As a way to avoid showing us too much of the movie, this is a sort of ingenious way to structure the trailer. Then we move onto Bob (Craig T. Nelson) trying to manage the kids while Helen (Holly Hunter) goes out crime fighting. The first movie did a great job of blending family life with superheroism, and it was that balance that made the film really work. This trailer, however, didn't feel like it had a good balance. The beginning is very superhero-oriented, and then the rest of the trailer is very family life-oriented. I am hoping the actual film has a far better balance than this trailer has, and I'm sure it will. There's also a good amount of Frozone (Samuel L. Jackson) in the trailer, so I'm hoping that's an indicator that he'll have a pretty sizable role in the movie, and won't simply have a cameo appearance. Overall, this trailer wasn't staggering. It didn't blow me away. But for a teaser trailer, it did its job to let us all know that Incredibles 2 is coming. What do you think? 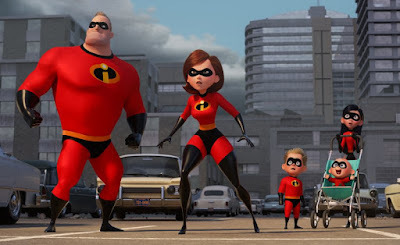 Did you like the first trailer for The Incredibles 2? Are you planning on seeing the film? Leave your thoughts in the comments section below.